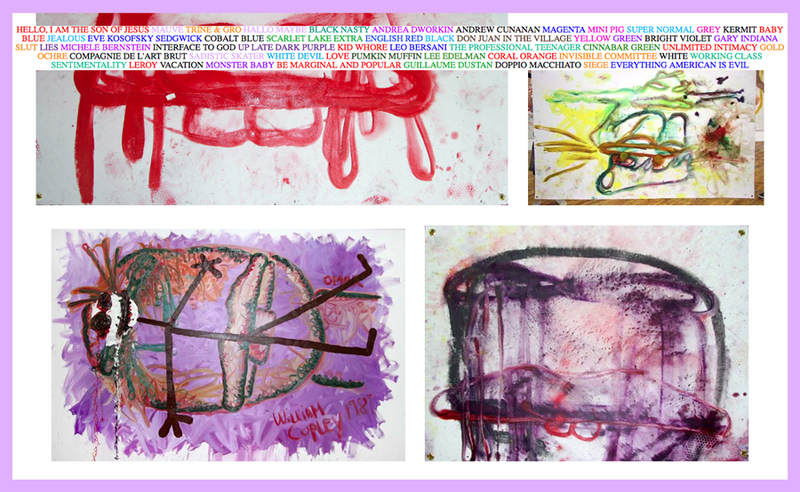 Stabfrenzy.com is an unfiltered online presentation of Bjarne Melgaard's artistic practice. A digitized catalogue raisonnée assembled on the artist's own excessive terms, it is overflowing with information and work. Where most artist websites format their careers into virtual museums—click after click of jpgs and pngs ordered into tidy lines of growth and development marching through time as if their history truly mattered, stabfrenzy.com simply piles it on. Heap after heap of images, texts, artworks and random matter harass the internet's white walls as if they were padded walls. A retrospective as a vastly proliferating disease infecting Melgaard's body (of work), loosely organized by desire and malice, misuse and decadence, hue and saturation, murderers and academics, so on and so on. In turns both militant and vulnerable, stabfrenzy.com provides viewers with an uncomfortably thorough and institutionally uninterrupted look at one of the most complex and controversial neo-expressionist art practices at work today.